“Tanner-SC” spent a considerable amount of time on a server called #whitepills before his entire organization was de-platformed. “White pilling” is a play off the alt-right idea that once you take the “red pill” you can see the truth. Their “truth” is filled with antisemitic and islamaphobic conspiracies ranging from Jewish control of all governments to the very extinction of white people as a whole. To “white pill” somebody is to sneak white nationalist ideology into everyday conversations under the guise of being inquisitive and questioning. There are a few far right mouth pieces that have tried to master this ruse with some success, notably Richard Spencer of the National Policy Institute, Jared Taylor of American Renaissance, Milo Yiannopoulos, and Andrew MacDonald. All have paved the way for suit-and-tie nazis to debate for a far darker future, opening up the conversation of mass relocations, genocide of people of color, and ethnostates ran by a fascist white aristocracy. Sometimes these arena-traveling street preachers wear a clownish smile, brow-beating their audience into a frenzy–either way their message and tactics are basically the same. The reality of their views are sugarcoated in the message they broadcast, which is that white people are getting the short end of the stick and it’s because of diversity. Their tactic is to introduce these ideas into normal culture via a Trojan horse using language, unchecked statistics, and non-peer reviewed “science” that would never be published in any credible science journal. This is the particular camp that Daniel Rasch was groomed for. Beyond trying to “white pill normies” in basic settings of society, Rasch has brought his white supremacist views to the classrooms of the universities he studied in. 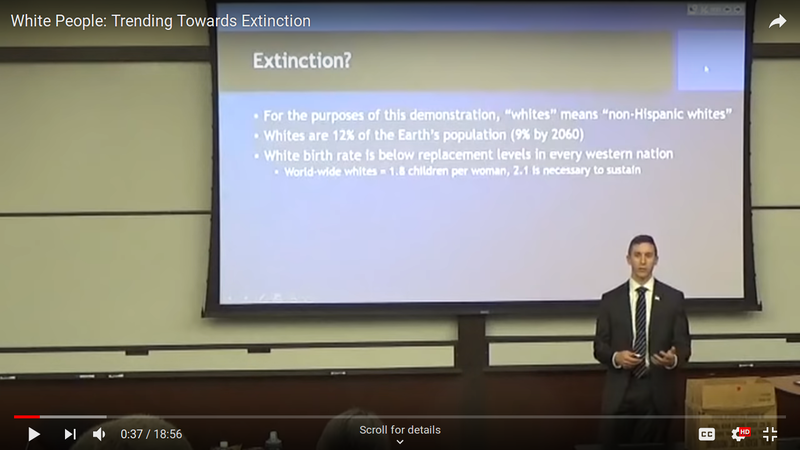 When chatting with his fellow neo-nazis on what they thought was a private server, he brags about his “suit and tie workings” and posts a link to a youtube video of a presentation he gave titled, “White People: Trending Towards Extinction”, published 4/6/17 by “Joe Sixpack”. This is the only video posted by this youtube user, lucky for us the video’s license is labeled as Creative Commons Attribution license (reuse allowed) . iGracias! So now we have a face and voice for “Tanner.” Thank you Daniel for “fanning your own balls,” a disgusting thought yet useful to expose your real name and intentions. It is worth mentioning that the beginning of the video is cropped as to hide the title slide which would most likely include the name of the speaker. 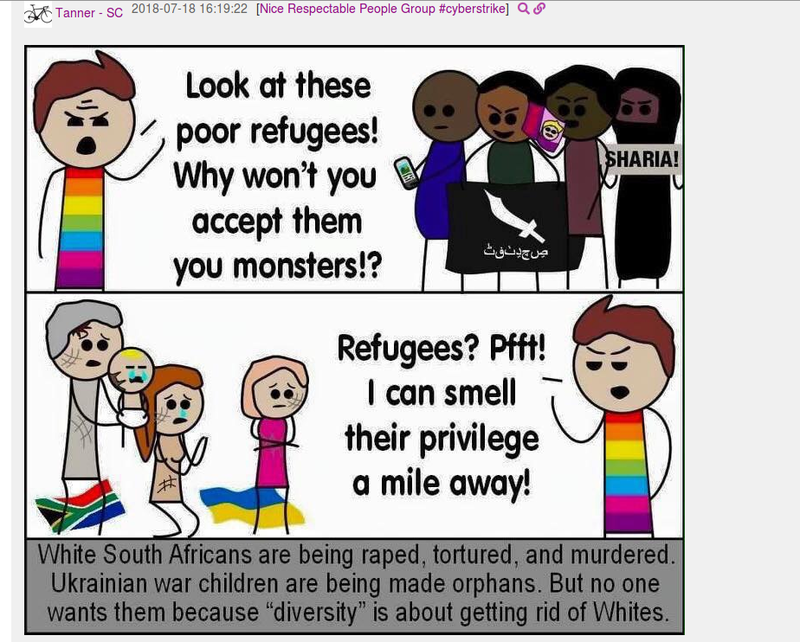 This is consistent when the video is shared on other websites popular among white supremacists such as Stormfront and voat. Daniel Rasch is obsessed with the conspiracy of the “Zionist occupational government” (ZOG), the unfounded idea that Jews secretly run the world. He is so convinced Jews control all the money globally he invests in bitcoins or crypto-currency and he acts as Identity Evropa’s online financial adviser, coaching fascists through investments. Alongside the grossly antisemitic conspiracy of secret Jewish overlords covertly breeding white people out of existence, Daniel has become very interested in providing tips about how white men can find suitable white women to date and thus breed with. This dating advice includes going ice skating as it is “very white” and going to revival festivals, which we imagine look white enough for Daniel’s taste or lack thereof. He goes on to advise fellow white nationalists to join Church youth groups in order to find a white wife. Daniel himself recently joined a local catholic “youth” group. When we read why, his choice sounds as in-sincere as it does inappropriate. This is an idea originally presented to him by another IE member in the area to find a “traditional” wife to have as many children as possible. We won’t be including any of Daniel’s past or present partners in this expose at this time, as he likes to keep his involvement with Identity Evropa and the white nationalist movement a close secret. Therefore, we have no reason at the moment to believe he is being honest/forward about his beliefs, organizing, and financial support of IE with his loved ones and peers. There will be an edit if we find out otherwise. Anybody that is willing to lie to their family and lover would definitely have no problem putting on a mask for their employers and co-workers/clients. Nonetheless, we believe everyone around him, along with the greater public, ought to be fully aware of his active membership in a white supremacist organization and a designated hate group. This includes informing not only his family and employers at Michelin, but also the cycling community that he is embedded in. An additional clue solidifying the conclusion that “Tanner-SC” is in fact Daniel Wallace Rasch is his enthusiasm for long distance cycling. 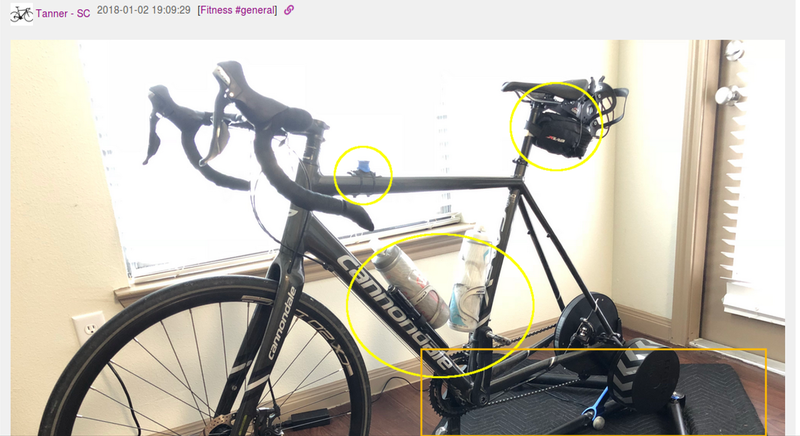 While bike frames change as you upgrade and get new gear, things that don’t change very often are actual frame size and positioning of the saddle which correlate with body size. So while this might seem to be a small detail to work off of, it was a clue we couldn’t ignore. We were looking for a racist racer in South Carolina. The rides that “tanner” would map out and share close the area to the general foothills area of northern South Carolina. One link he shares is of a replication of a ride he went on. 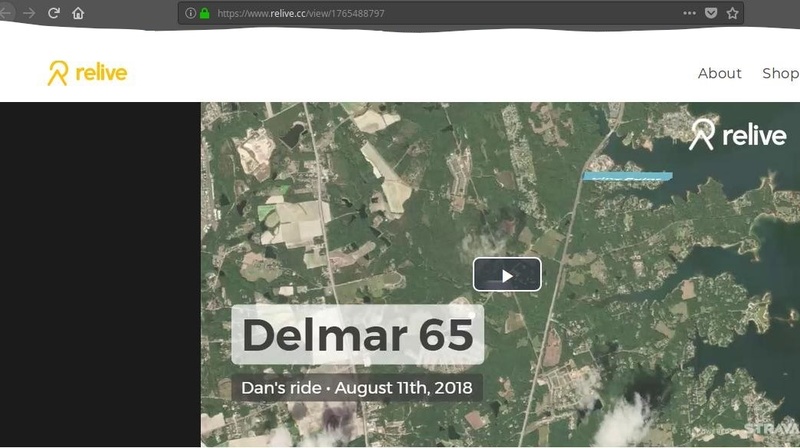 The beginning of the screen includes text giving us a first name as it spells out “Dan’s ride”. He later mentions he is in Greenville area. The two bikes that he posts pictures as his are a 2016 Giant TCR Advanced Pro 2 and a 2017 Cannondale CAADX 105 clyclocross bike. The Cannondale is on a indoor trainer resting on a gray moving blanket in one pic. Various pictures confirm he is in fact in the Greenville / Upstate SC area. Seems Dan prefers biking to other sports because it is “very white” in his mind. Before moving to Greenville, South Carolina “Tanner-SC” mentions being about a 3 hours drive to Dallas, Texas in 2017. He then later mentions having contacts in Houston. In a different server when once again discussing white birthrates he talks about being from St. Louis, MO originally. Although Daniel believed his neo-nazi and white nationalist politics made him a suitable candidate for campus internships, decision makers thought otherwise. 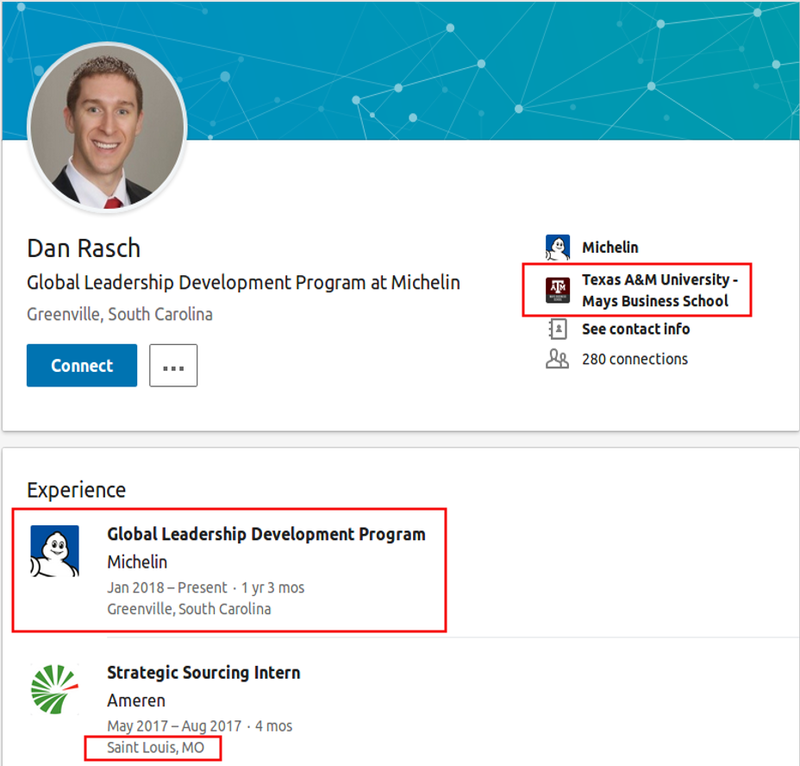 Someone should have told him sooner that advocating for genocide as a means of racial cleansing is not considered an “extracurricular” form of “leadership skills”. 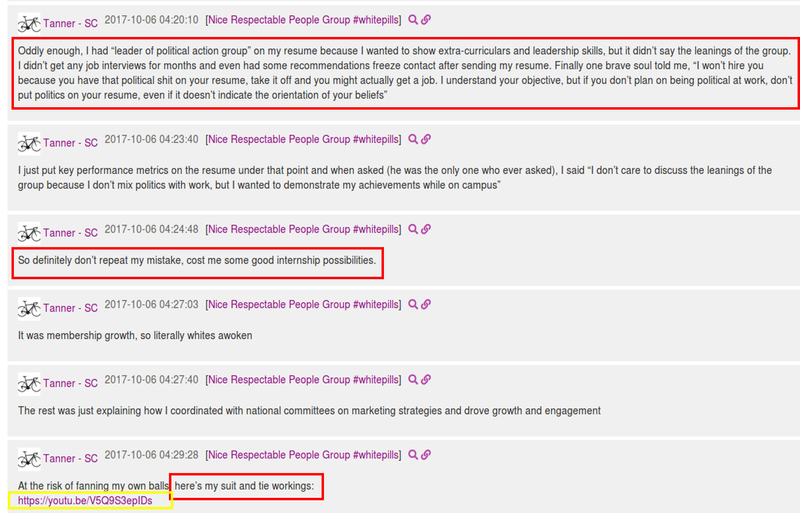 Apparently his mistake cost him “some good internship possibilities”. Tanner-SC posts a lot on the mechanical server about tending to and buying cars. Other posts reveal his age at the time he was posting, his sector and title in the workforce and his family’s financial stability. Even his diet will no longer be a secret! Now we have a better picture of who “Tanner” is. We are looking at a 31 year old white male with a brown fashy haircut with a distinct voice. We are looking for somebody that is originally from St. Louis area and moved to Texas presumably for school and now lives and works in Greenville, South Carolina. This same person also has a high paying job in tire manufacturing and years if manufacturing experience. 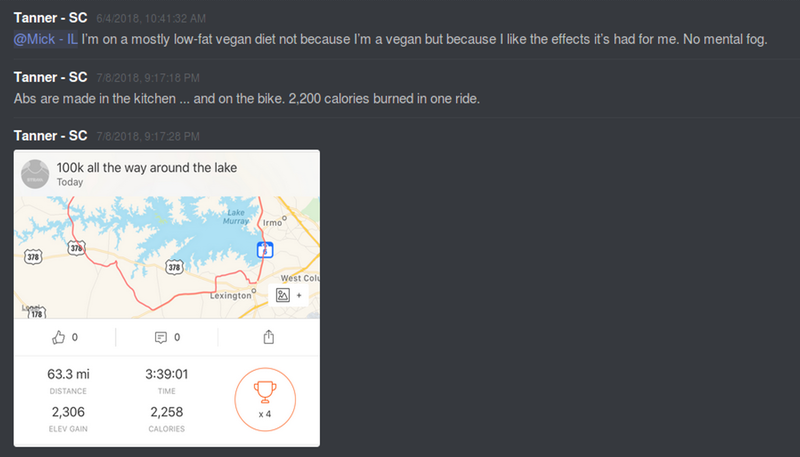 This person’s posts on discord suggests they are highly familiar with the inner workings of business models and finances. They are mechanically inclined and have plenty of advice to offer on automobiles and bicycles. He recommends Trek bikes on discord as they are the most American/nationalist company. The personality behind the handle leans strongly towards privilege, higher education and a know-it-all. They also appear to attend a catholic church in the Greenville area. For somebody who thinks they are so smart they sure made a stupid mistake thinking they could share so much personal information on an infiltrated chat server. 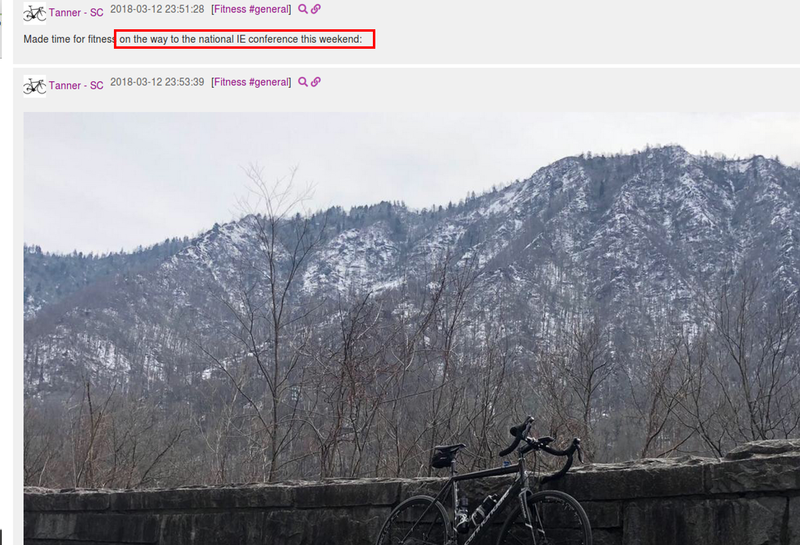 With this context to guide us we began digging through known Identity Evropa member’s social media (that we will be exposing shortly after this release, muwaha). Whatta ya know we stumbled upon Daniel Rasch’s facebook profile. 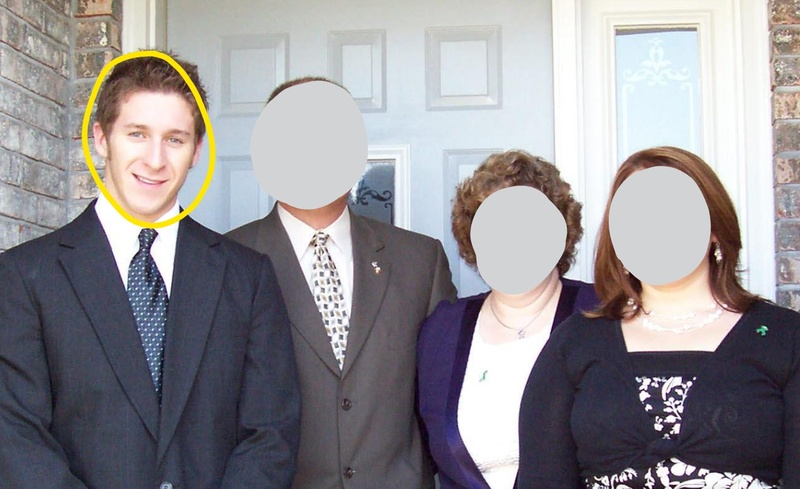 Not only does Daniel’s profile picture look familiar to the “white extinction” youtube video that Tanner SC posted on discord, this Daniel also attended high school at private catholic prep school, De Semet Jesuit High School located in Creve Coeur, a city located in west St. Louis County, Missouri. He later studied at Missouri S&T and Texas A&M University Mays Business School in Houston. 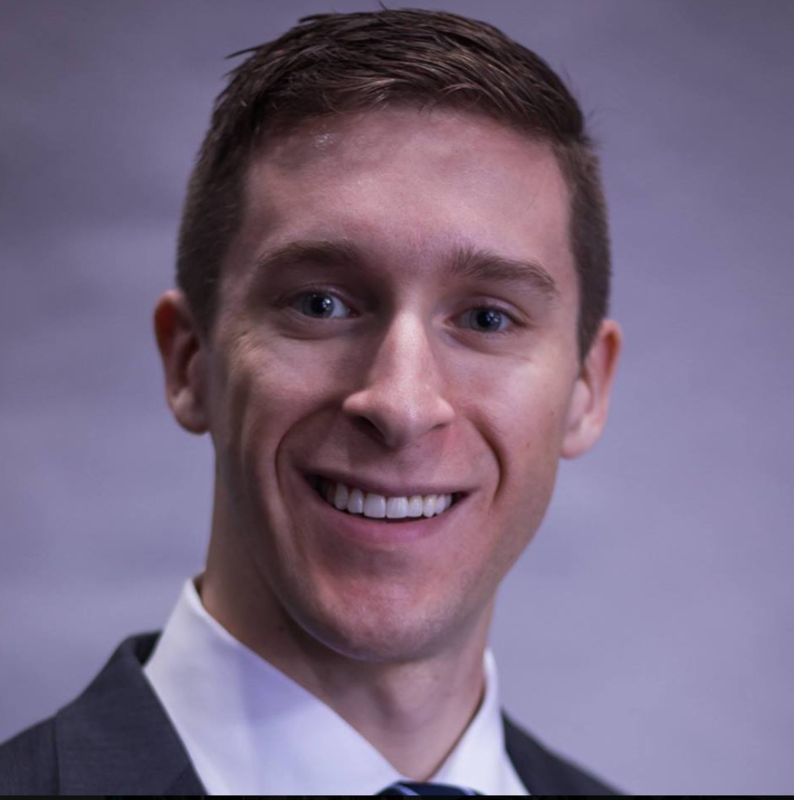 Since 2018 Daniel has positioned himself in the Global Leadership Development Program at Michelin located in Greenville, SC. 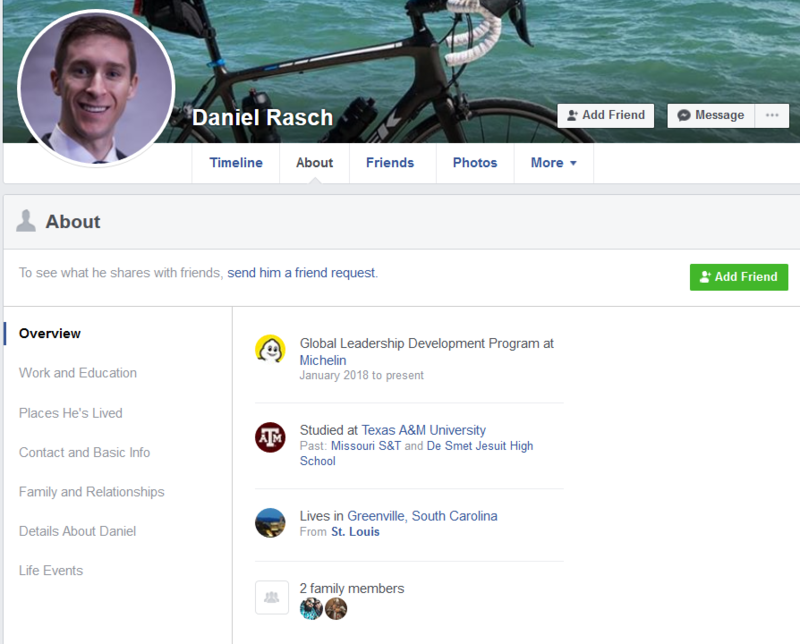 It would appear that Daniel upgraded to that all-american Trek bike he wanted with his new job, as seen in the cover photo, leaning in that familiar way “Tanner” shot his bikes various times throughout the server. Daniel also has a linkedin account that verifies this information. 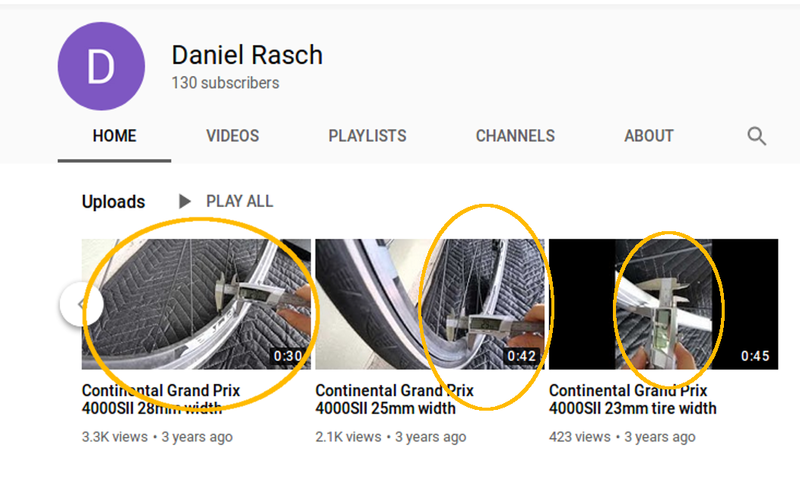 Furthermore we found a youtube account under the name Daniel Rasch <link to channel> which features a few videos of modified handgun clips malfunctioning, several bicycle modification videos, video game race car footage and some videos of joy riding in a black corvette with Missouri plates. Not only is the voice in the videos matching up with the speaker of the “suit and tie work” Tanner took credit for in IE servers linked above, but the content and tone is parallel. 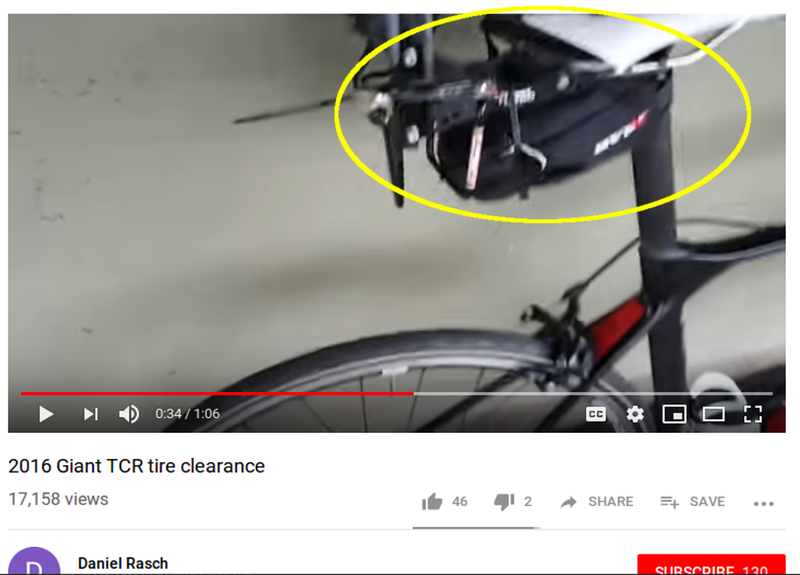 In one video he names off the exact make and model of the Cannondale bicycle featured in discord leaks, the same bike that was parked on top of a gray moving blanket which is also the same blanket used indoors in videos on Rasch’s channel. 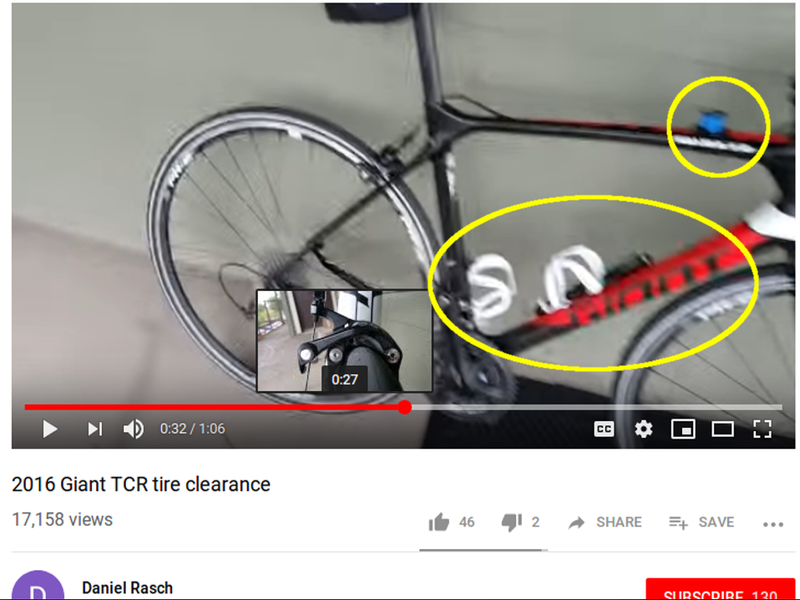 The exact same Giant bike mentioned above is featured in several videos. All of these clues match up quite nicely with Daniel’s timeline, locations, interests as well as voice and face. 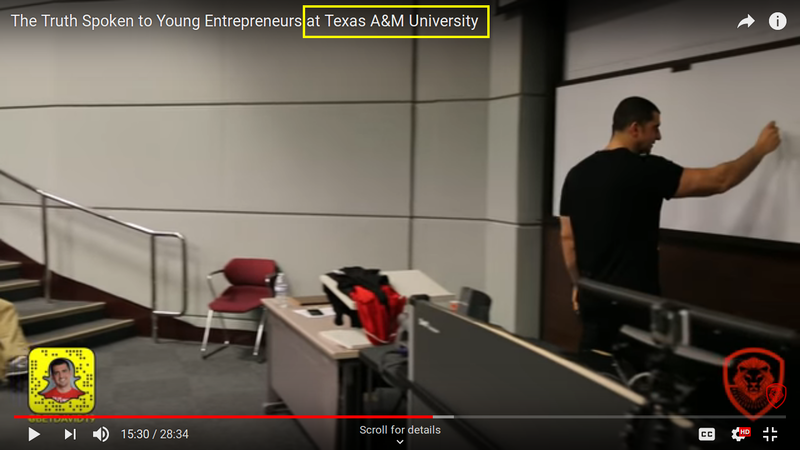 To double check on that speech on youtube we looked into the actual classrooms in Houston’s Texas A&M business school. We were able to match another video of somebody talking to a group of young entrepreneurs in the exact same room the “White People: Trending Towards extinction” speech was delivered. This confirmed the speech was presented at the very same school that Daniel Rasch was attending at the same time. Daniel’s presentation mentions several professors, one of which is Michael Wesson. Wesson happens to teach at the Texas A&M – Mays Business School. With this knowledge it would be exhausting and redundant to further prove without a doubt that “Tanner-SC” of Identity Evropa is in fact Daniel Rasch; but we will. Without much more to say about Daniel Wallace Rasch’s once secret affiliation with Identity Evropa, we will let Danny tell you how he feels himself. DONT GIVE THEM AN INCH!